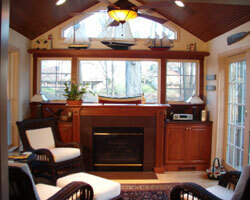 HR Design Remodel has been creating custom home additions since 1989! 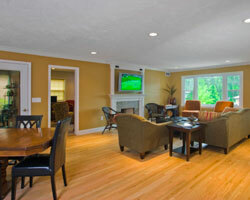 Is your house feeling smaller and smaller as your family and/or your belongings grow bigger and bigger? You like your location and can’t imagine going through the hassle of moving. More and more people, like you, are staying put, making the investment in their homes, and adding to their living space. 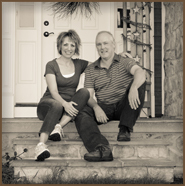 Let Home Remedies Design Remodel help create space for you and your family to move and enjoy for years. Whether it is finishing your basement, adding an addition, or a whole house remodel, we have the knowledge and access to the materials to get the job done just the way you want it. 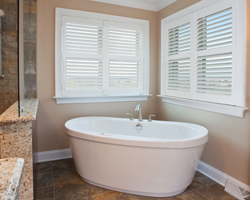 If a custom addition is what you are looking for, we can design and build a unique living space that you and your family can laugh, love and create memories in for years to come. 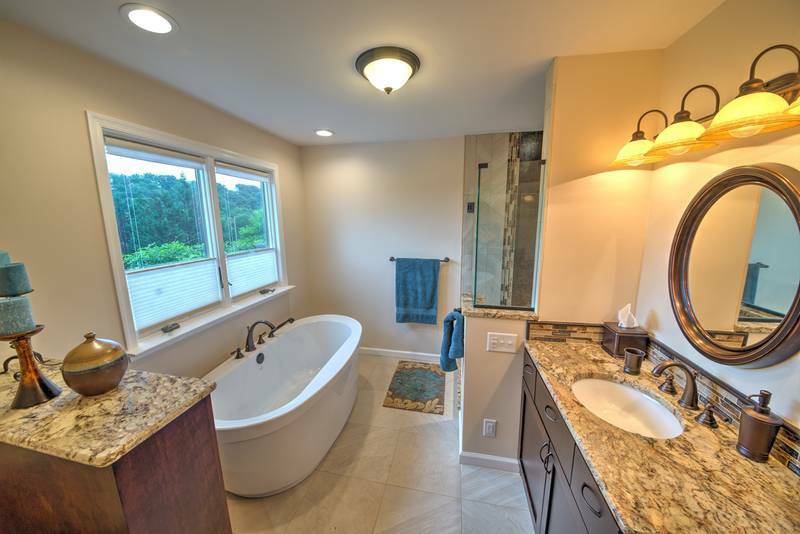 This charming Bedroom Addition and Master Bath features spacious Granite shower (porcelain tile, glass accents), free- standing tub; and custom-cabinetry. 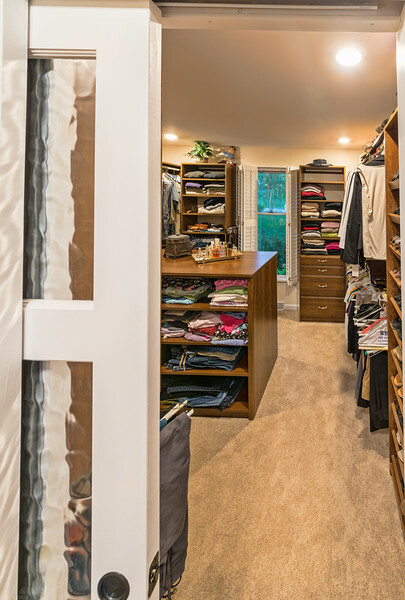 We utilized the "old bedroom space" and turned it into a unique, organized, spacious closet with decorative glass entry! 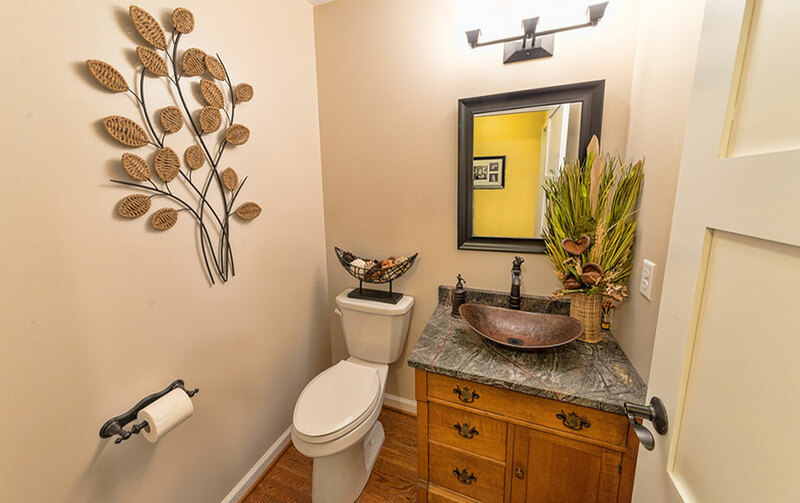 We added a quaint separate powder room with a family heirloom vanity that the homeowner was waiting to enjoy as a nostalgic piece...sweet! There comes a time when there just isn’t enough room, and there also comes a time when a room that never existed that has been a dream of yours must become a reality. 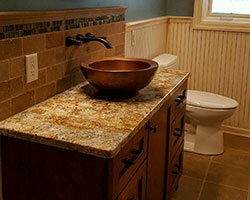 In both these cases, Home Remedies Design-Remodel can create a custom addition that offers so many options. For instance, when your kitchen is literally part of the living room and that wall is the end of the house, a kitchen addition is in order. 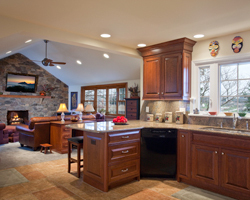 We created THE kitchen addition for one client and this not only added another beautiful space to their home, but a kitchen that was a kitchen, not part of the living room that for years was not how they wanted to spend cooking or family meal times. 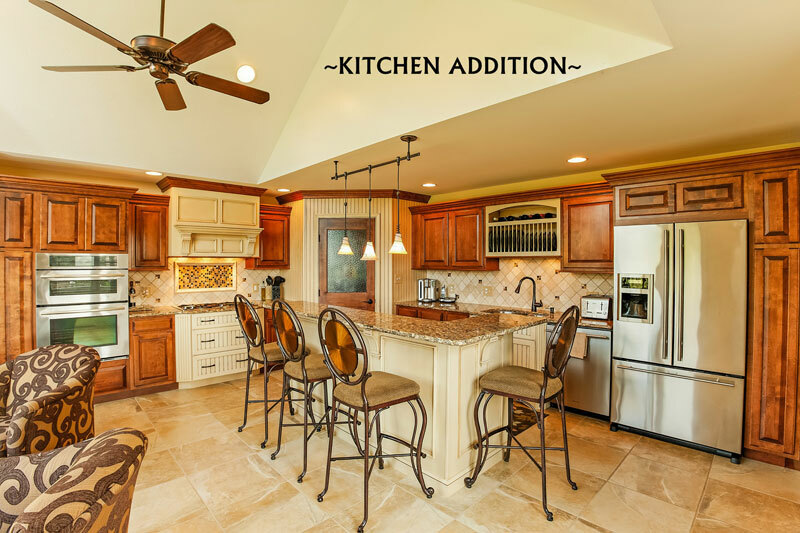 By adding that new kitchen/addition, now entertaining is better than ever and meal time is IN the kitchen for the “ultimate dining” experience more often than not. Speaking of outdoors, a screened-in porch addition just might be what you need. Our client who enjoys the outdoors so much can now do so without the pesky bugs and bees (as we all know). 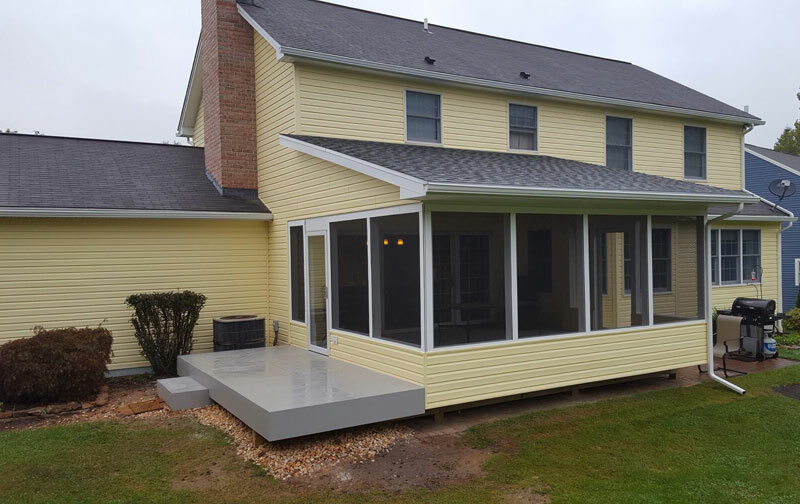 The addition we created perfectly matched the existing siding and blends seamlessly with the existing house to create a “simply cozy” porch and deck space to be enjoyed for cookouts, reading late at night or that early morning cup of coffee! 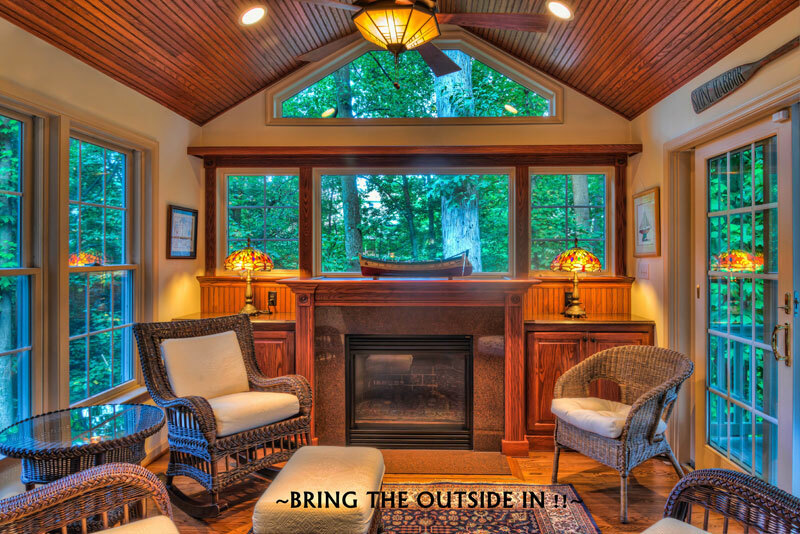 If a sun-room addition and deck is what is on your mind, take one that we created for another client, called “Let the Outside In”. 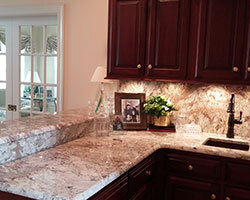 - “because of their high quality work, innovative design, professionalism, and timeliness. 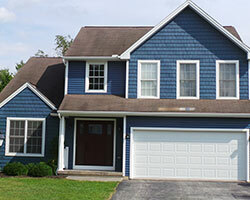 They stuck with their estimate, handled all subcontractors, protected areas of our home not being renovated, and completed their work on time. When their work was complete, the house was left spotless! We give them our highest recommendation”. This sun-room project gave that family such joy to share a space that never existed before and now can be enjoyed with their friends and family on many occasion. The sun-room which literally lets the outside in all year-round is a space where gatherings and memories will be created and shared. 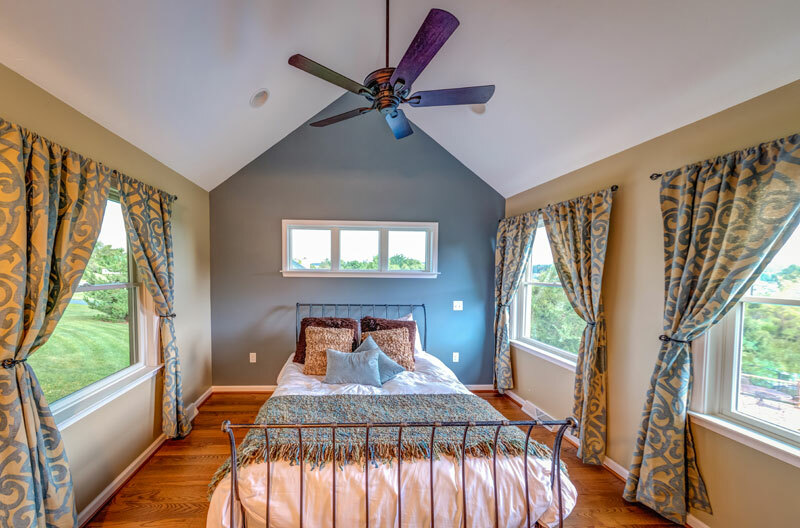 Stepping out onto the deck from this room, which sits up in a wooded backyard view, is the ultimate in relaxing after a hard day at work or enjoying the fresh outdoors right from your doorstep. 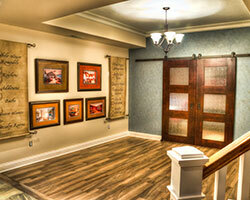 Contact Us to Discuss Your Vision for Your New Custom Addition!